Karen Kee had a slate of marketable skills. She just needed the college degree to go with them. So she turned to Tidewater Community College, earning her Associate of Applied Science in Civil Engineering Technology. Today the construction program analyst for the Virginia Department of Transportation (VDOT) in Richmond teleworks from home one to three days a week. “A civil engineering degree is a game changer,” she said. After graduating from Greenville County High, the Emporia native skipped from job to job, including a stint in consumer collections. She signed on with VDOT Hampton Roads initially as a fiscal assistant, where her duties ranged from processing financial transactions to monitoring budgets to coordinating emergency response teams when appropriate. After more than four years, she longed for another challenge and applied for a contract administration position at VDOT. She got rejected three times. Kee moved into a fiscal technician position but wasn’t satisfied. For Kee to advance, she realized she needed the credibility a degree offered. Husband Jerry encouraged her to attend TCC, pushing its business program. But he had earned the civil engineering associate, and given her background with VDOT, Kee considered that associate a better fit. “It’s not going to be easy,” warned Jerry, an assistant residency administrator, who will mark his 40th year with VDOT this year. I don’t expect it to be,” Kee said, who continued to work full time while taking evening classes. That meant driving twice a week from her Franklin home to the Virginia Beach Campus for her civil engineering coursework. The 64-credit associate, taught by civil engineering professionals who incorporate real-world experience into instruction, teaches the fundamentals of surveying, construction materials and testing and computer-aided drafting and design. Kee had never taken calculus, but given her aptitude for math, she enjoyed the challenge, using apps and books from Barnes & Noble to help with formulas. She chipped away at the degree, graduating in 2012. Kee, 51, intended to transfer into the bachelor’s program at Old Dominion University, but raising two children and managing a multitude of projects consumed the bulk of her time. With her degree and numerous certifications, Kee became a more attractive job candidate and left VDOT to work in consulting as a management analyst in construction services, a position that doubled her salary. She also was given a vehicle to help with the commute from Franklin to Richmond. She returned to VDOT four years ago, this time working in the Richmond District Construction office, though she only makes the long drive a few times a week given how computerized her work has become. 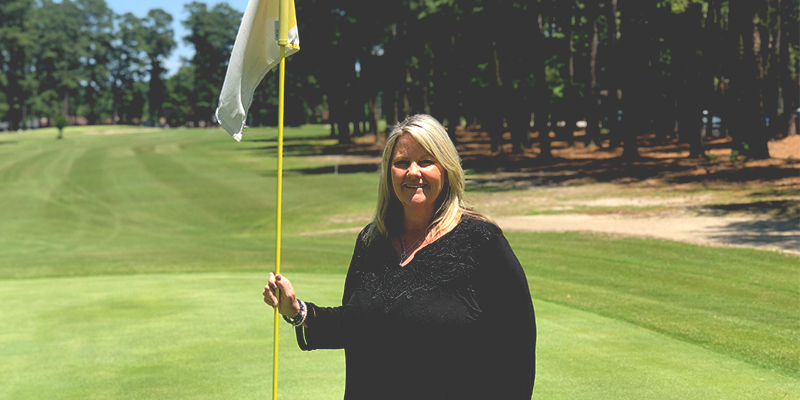 Kee, who is president of the board of directors of Cypress Cove Country Club in Franklin, is an avid crafter, passionate golfer, wife and mother of two daughters. She encourages others to consider the civil engineering field given its versatility.